No religion other than Judaism and no people but Jews have ever been so heavily discussed. One reason behind this is the fact that in Judaism religion and ethnicity are most unusually intermingled. This is why talking about Judaism means to talk about a people and its history as much as, and even more than, a religion. Jews, emerged as the sole representative of monotheism, first struggled with the surrounding pagan peoples and later clashed with Christianity and Islam in the name of representing the true Abrahamic tradition. Despite, and also due to, their commercial, cultural and scientific activities, Jews, as minorities clustered in city centers, were often identified with closed and mysterious groups and therefore were seen as a threat in Medieval Europe. Long after their emancipation, Jews are still debated today, due mainly to the Zionist ideology, as the main actors of the world politics. Because of all these, to understand Judaism plays an important role in comprehending the human history. 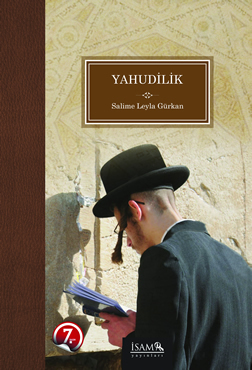 So, in the absence of enough Turkish works on the subject, this timely book, written mainly from Jewish sources, aims to shed light on Judaism in reference to its historical development, belief system and practice.